Welcome to DT Trucks about us page, here you will find some information about DT Trucks including how we were founded, who runs the company and some interesting facts you may not know about us. When it comes to investing in a truck I feel its always best to know the background of a company as it gives you a insight to the type of care you will receive. We do try our utmost to please our customers in every way possible however if you come across any issues always remember we are here to help and assist you so feel free to get in contact with a member of our staff at anytime. Please bear in mind we do have a live chat system that can be easily accessed by clicking the button in the bottom right of the page. 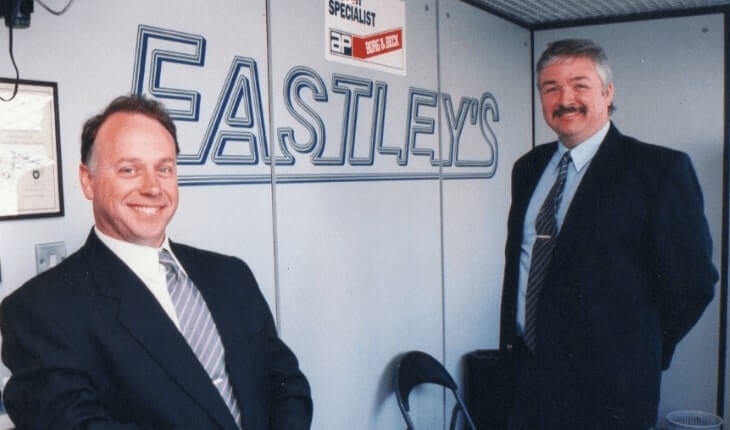 The origins of our Isuzu Dealership goes back to 1995, when Derek Tansley and George Smith first took on the Isuzu Brand with a company called Eastley Commercials. Isuzu Truck (UK) Ltd had only recently started up in the UK. At that time the range consisted of a 3.5 tonne single rear wheel chassis and a 6.2 tonne chassis.The two partners built up a good reputation in their territory and were always in the top 3 for sales, along with exceptional customer CARE. From that time Isuzu Truck started to add to their range, first was a new 7.5 tonne chassis followed by the twin rear wheel 3.5 tonne option. Later, a 5.5 tonne was added the 11 & 12 tonne chassis. There are also various pre-bodied options. Around 2004 the partners went their separate ways with Derek continuing with an Isuzu Service & Parts Dealership. While George was involved in other dealerships including Isuzu. In 2015 they were back together with another Dealership in North London. Now offering Sales, Service & Parts in Barking and Hoddesdon. The business is expanding and looking forward to the new products from Isuzu; recently we launched the new Isuzu N35.125 Green model. This truck uses a new 1.9 litre engine, which is Euro 6 but does not need Adblue. Has new suspension and 6 speed gearbox. There are other models to add to the range in the pipeline. Get to know a little about our team! 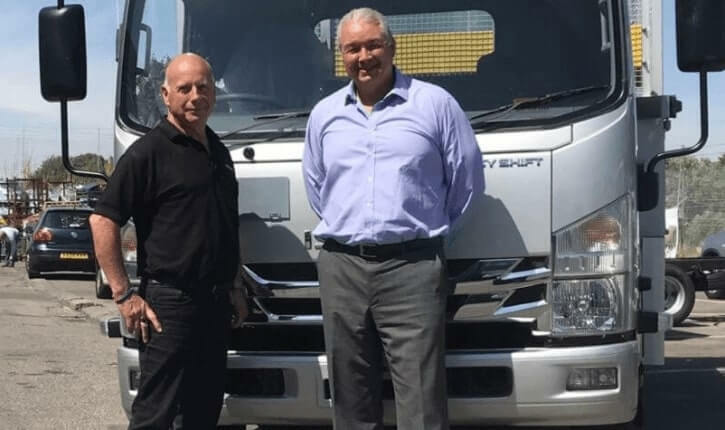 Derek Tansley, Managing Director – Started as a technician’s apprentice and soon advanced to fully skilled then realised that the best way to further his career was to start his own commercial vehicle garage. For many years he built the business into a successful enterprise. Responsible for overseeing the business especially the operations. George Smith, Sales Director – Began working in the family car repair business, then into the Fruit & Veg sector as Managing Director of a Wholesaler in New Covent Garden Market. Responsible for sales & marketing and general management. Andy Young, Group Operations Manager – Been in the motor industry for 16 years. Began as an apprentice and through time, progressed into management and leadership. Much of his experience has been within Ford, Jaguar and Land Rover Retailers. His aim is to continuously improve and develop the team to ensure we remain your first choice service provider. Del Sanford, Workshop Manager – Barking. Over 20 years Commercial Vehicle workshop control experience. Worked as the Parts Manager, now runs the Workshop. Steve Wilson, Aftersales Manager – After leaving school he attended college for three years studying Repair & Maintenance of Vehicles, obtaining a City & Guilds Diploma. He joined DT Trucks in February 2017 in the service department, however, because of his experience and knowledge he was promoted from Parts to after sales Manager. Kieran Thakrar, Parts Manager – based at Barking. At 17yrs old Kieran gained his Tachograph Licence, making him the youngest person in England to be able to calibrate and repair tachograph systems. At 18yrs, he acquired an IRTEC accreditation, so is recognised by the DVSA as capable of carrying out inspections to a higher than average standard. On reaching 20 years, he moved into the parts role, to further his parts knowledge, but also continued his Master tech training. By 21yrs he passed his master tech course and continues to grow into his Parts Manager role. Kimberley Perkins, Administrator for Barking – Kimberley has been with DT Trucks in 2013 and has previous experience in commercial vehicle administration. Responsible for all Administration, Invoicing, warranty etc. and overseeing the office. Proactively assists in the growth of the company and customer care. Julie Mountain, Administrator for Hoddesdon – Julie has worked in many different fields but always Customer based. Her roles have been varied from Personal Assistant to Legal Secretary. Since joining DT Trucks, she is responsible for Sales Administration, the Warranty System and the Isuzu CARE programme. She is always looking to provide good customer care and efficiency to the business.